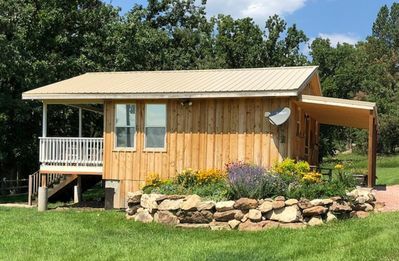 Newly built in July of 2017, this cabin features a serene setting with the comforts of home. 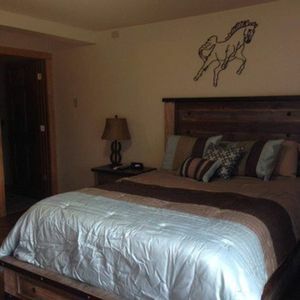 One bedroom with a queen bed, large bathroom featuring a cast iron claw foot tub, with linen and towels provided. 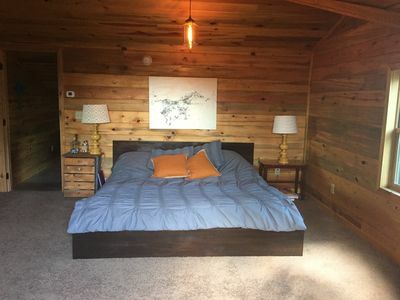 The main room has a bunk bed and futon sofa sleeper. 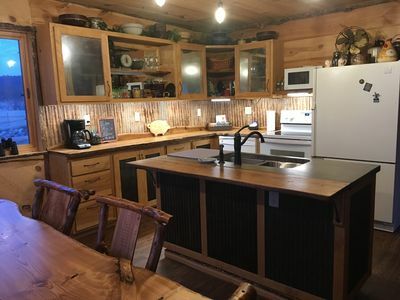 Kitchen has a refrigerator, microwave, coffee maker, toaster and table and 4 chairs. 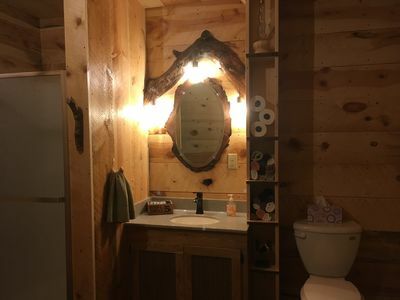 All utensils are provided with disposable plates and glasses. 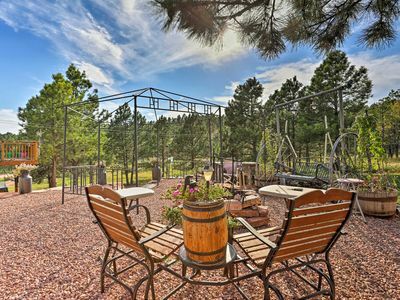 Right off the large covered porch is a 5 burner grill (with tools) and a picnic table in a private yard. 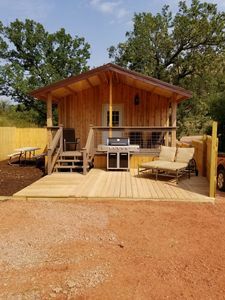 "The Bunkhouse" has heat and air conditioning for your comfort, a ceiling fan in the bedroom along with a smart TV and strong wifi. 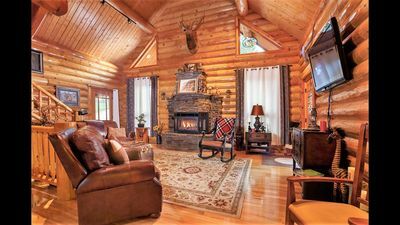 Pets are welcome, we do ask if they are left unattended in the cabin they are kenneled. 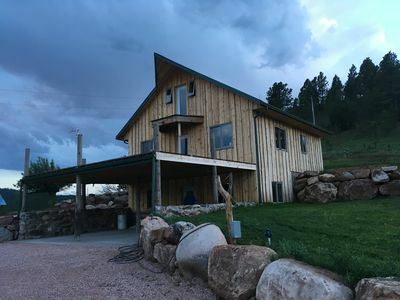 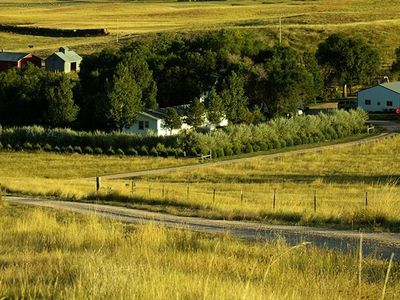 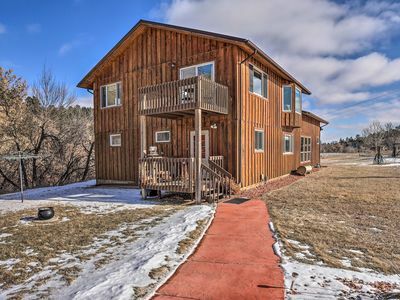 Vacation Home on a Working Cattle Ranch Bordering Custer Park! 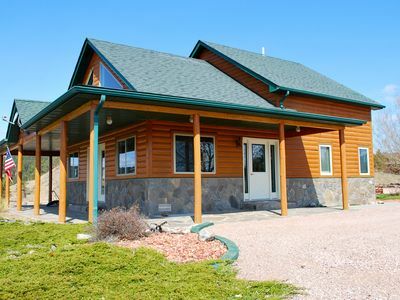 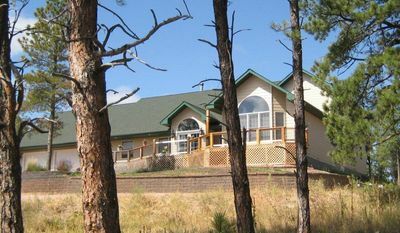 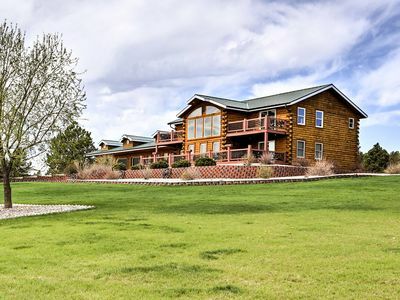 Black Hills Log Cabin w/ Private Pool + Game Room! 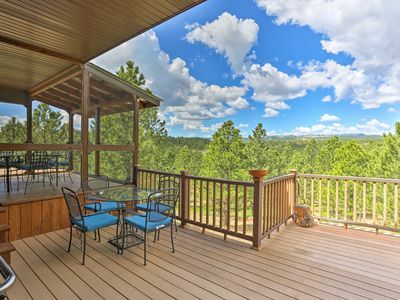 Hermosa Home w/ Blackhills View, Gas Grill & Deck! 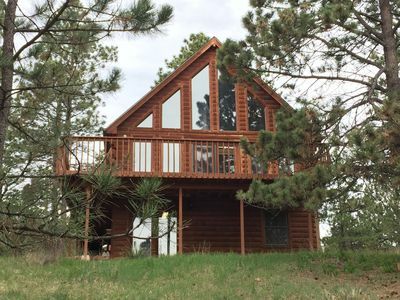 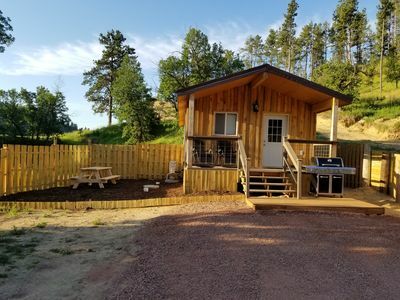 Relax and unwind in this secluded Black Hills cabin-minutes from Mt. 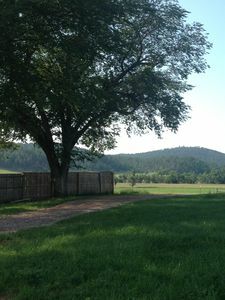 Rushmore! 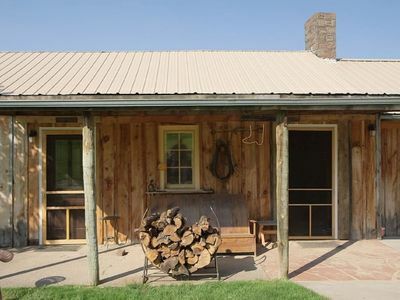 Ghost Canyon Guest Ranch "Cabin"
NEW! 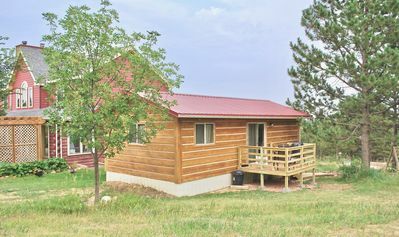 House w/Hot Tub - 15 Mins. 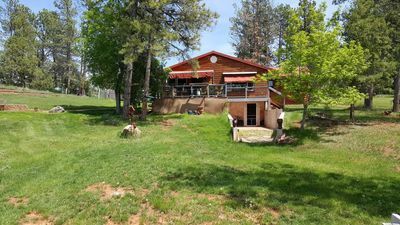 to Mount Rushmore!